Are you one of those people who are sick and tired of having too much moisture in their air? The household we live in produces lots and lots of moisture by washing, exercising, bathing, cooking and even breathing. While a certain amount of moisture is important to the existence of a perfect environment, extensive moisture levels can cause us a lot of problems.Excessive humidity in your house makes the environment inhospitable. It not only makes allergy seasons harder for you but the damp conditions facilitate mold growth. The best course of action if you are living in a humid home is to get a good dehumidifier. Majority of the dehumidifiers people are usually familiar with are designed for compressor-based models. But if you have been spending some time on the internet, you might also have heard about desiccant dehumidifiers. These are compressor-less dehumidifiers that deliver the best results in the most humid conditions. 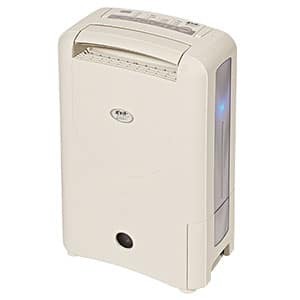 To help you make the perfect purchasing decision, this article discusses all the necessary details on the best desiccant dehumidifiers for home use. How to Determine the Right Capacity of The Dehumidifier You Need? Who are Desiccant Dehumidifiers For? 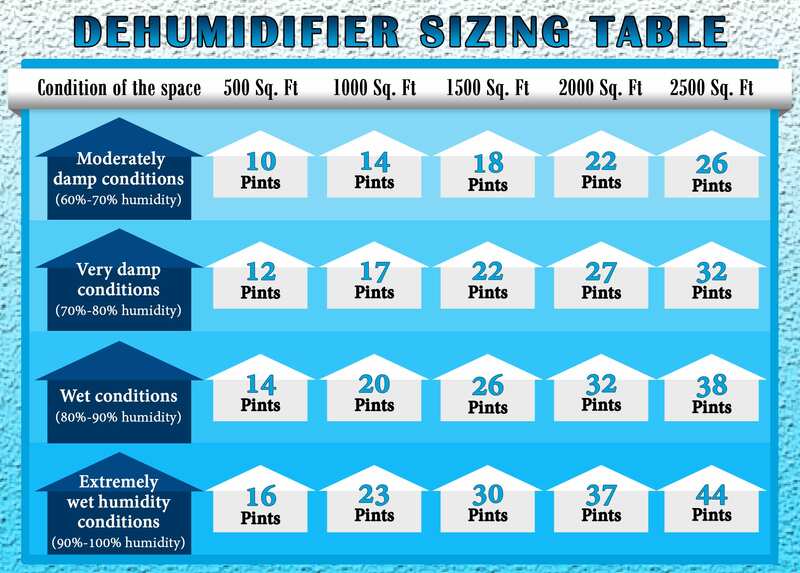 Since the introduction of our website on the internet, we have shared information on more than 20 dehumidifiers. To come up with the best reviews for our clients and readers, we study the functioning of a dehumidifier and try to test every single one of our units before reviewing them here. We believe in facilitating our clients the best way we can. That’s the reason why we spend more than 55 hours to carry out our research work before coming up with any reviews. In addition, we take several days testing these units to analyze all the functionalities associated with these units. The main aim of our site is helping our readers find the right products for their homes without biasing with any particular product or brand in any way. Why Get a Desiccant Dehumidifier instead of a Compressor-Based Dehumidifier? Desiccant dehumidifiers are usually weaker in comparison to the typical compressor-based dehumidifiers when it comes to drying rates. But at the same time, these devices can be a great option in certain situations. Keeping in view their smaller size, desiccant dehumidifiers are a good fit in smaller spaces, such as closets, bathrooms, and kitchens. Moreover, they are much quieter in comparison to compressor-based models. So if you get annoyed by high noise levels, desiccant dehumidifiers might serve you well. If you like your environment green and healthy, a desiccant dehumidifier might be the answer to your concerns since it does not use any harmful refrigerants used in compressor based models. The best desiccant dehumidifiers are extremely effective at lower temperatures. They not only deliver better functionality but also aid in warming up the overall environment. Keeping in view the above-mentioned facts, desiccant dehumidifiers may serve you well by bringing a big improvement in your lifestyle. Before you buy a dehumidifier, it is strongly recommended to consider your circumstances and specific purposes to make the best-suited choice. Disposable desiccant dehumidifiers are also known as moisture absorbers. These are low budget disposable dehumidifiers and may be used only once. Moisture absorbers have a low moisture sucking capacity per day and are effective in small rooms only. These properties make these products ideal for rooms where there’s no need for regular dehumidification. Just like moisture absorbers, rechargeable desiccant dehumidifiers are available at low rates and are small in size. They also have a low capacity for moisture removal. One major advantage is that they are wireless and don’t need to be plugged in for being operational. Rechargeable desiccant dehumidifiers are not suitable for use in large rooms or in extremely humid conditions. But they make a good option for small rooms with mild moisture levels. Such dehumidifiers may be referred to as an alternative to the typical compressor based models. Available for a price in between $150 and $350, these desiccant dehumidifiers offer a decent rate of moisture removal. But still, they are small in size and possess limited moisture removal capabilities in comparison to the traditional dehumidifiers with compressors. Commercial desiccant dehumidification systems are usually used by different types of construction contractors. This is due to the fact that these dehumidifiers are extremely effective in drying up air as well as construction materials even in extremely warm or cold weather conditions. Majority of the commercial construction establishments prefer commercial desiccant dehumidifiers over compressor based models. Who should use desiccant dehumidifiers? Well, they are the perfect fit for anyone who loves to be in an environment that is clean and free of extensive moisture. Desiccant dehumidifiers are genuinely efficient for operating at low temperatures. As a matter of fact, a majority of the desiccant dehumidifiers can operate at a temperature range of 33 degrees F to 125 degrees F. So, those who need to dehumidify an area with very low temperature can be truly benefitted by a desiccant dehumidifier. Desiccant dehumidifiers work on the basis of the desiccant rotary drum along with a couple air blowers. Unlike the typical dehumidifiers, they don’t have any noise producing compressors. Therefore, they operate quietly at less than 40 dB. So, if you want a good breathing environment without any noise, then you should go for the best desiccant dehumidifiers out there. Compressor-based models are capable of bringing the humidity levels down to about 35%. Desiccant dehumidifiers, on the other hand, are efficient enough to sustain the moisture levels at 30%. So, desiccant dehumidifiers are the perfect fit for those who want to maintain a consistent indoor moisture level. Desiccant dehumidifiers are lighter and much easier to move around than other compressor-based dehumidifiers. They don’t contain any heavy internal parts like a compressor. So, these are the undoubtedly the most beneficial option for people who need to replace their dehumidifiers on a regular basis. Some nonelectric desiccant dehumidifiers are designed to dehumidify smaller enclosed spaces. Those can be good options for those who want to keep their valuables (like- camera, jewelry box, sporting goods etc.) safe. A desiccant dehumidifier works on the basis of the desiccant rotor. It may be referred to as a massive rotating drum and is located in the center of the device. It has two operational zones – the process zone takes up 75% of the rotor area while the recharge zone comprises of the remaining 25%. The process zone pulls in the humid air where a certain desiccant material absorbs it in. After the absorption, it is exhausted out of the device immediately. As far as the rotor’s recharge zone is concerned, it is covered by a heater. 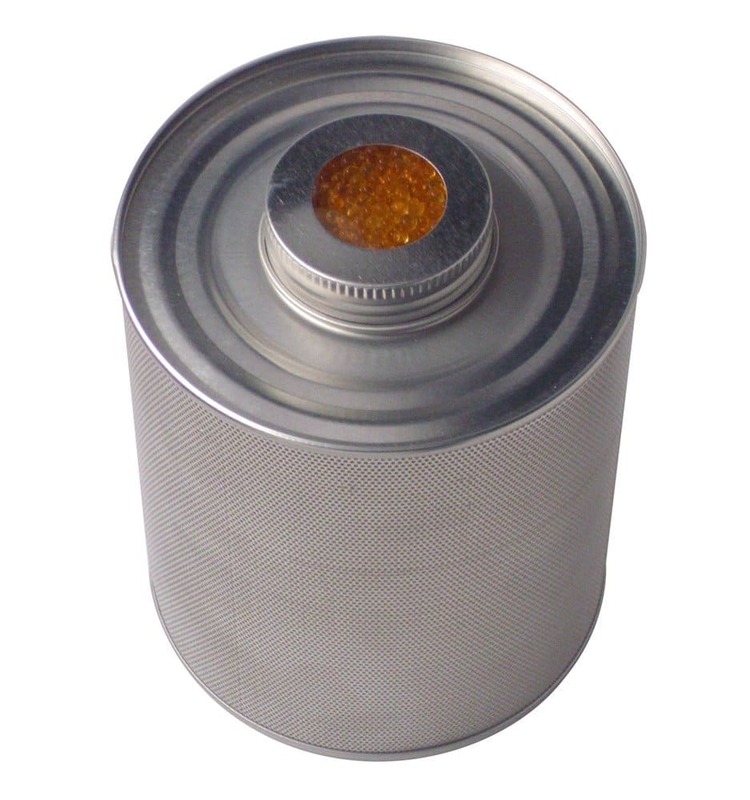 It is responsible for warming up the circulated air pulled out of the desiccant drum. The air heated in the recharge zone frees the desiccant from any moisture. So the moisture transfers into the air after leaving the desiccant. After the air has left the recharge zone, it gets into a condenser located at the front side of the device. The condenser condenses the warm humid air and brings it to the room temperature. Consequently, the moisture starts condensing into a collection bucket just like it does it case of a compressor based model. Our process of selection included extensive practical testing carried out by several volunteers. We have been in the business of reviewing dehumidifiers for over 4 years. In this period, we have carefully analyzed more than 20 different desiccant dehumidifiers. Neither one of these dehumidifiers may be listed as the perfect choice but they are definitely among the best ones out there. Almost two months were spent by our teams to analyze the functionalities of these products in different circumstances. As a result, we measured the performance rates of different devices and carried out a number of analyses including coverage capacity, usability, manufacture, weight & size, appearance, drainage, noise level, auto shutoff, auto restart, low temperature operation and other similar features. All of our products were chosen after making all these comparisons. Our top five dehumidifiers contain the majority of these features as they are powered by electricity and possess the capability of dehumidifying larger spaces. The other five dehumidifiers don’t use electricity and possess lower dehumidifying capabilities. We have tried our best to carry out a comprehensive research on all these products after consulting several users and trying most of the products ourselves. Consequently, we are confident to suggest these are the best desiccant dehumidifiers currently present in the market. We have carried out an analysis of 38 of the most important features for our selected products. You may choose among the first 5 products to dehumidify massive spaces, like basements, offices, bedrooms, etc. The other 5 products may be used to dehumidify small spaces, like kitchens, bathrooms, etc. We also have an open research report for our clients to help them understand the reasons why we chose these products among the other desiccant dehumidifiers on the market. We encourage our readers to like our social media pages to check out the report which is also attached here. Unique combination of exceptional features such as auto shut-off/restart, rotary control, auto defrost, and continuous drainage. Why is it our number one pick? Before jumping on to the in detail review, we are obligated to explain why it was selected as our number 1 pick. We listed 38 features as the most important considerations for each of our tested desiccant dehumidifiers. This one seems to exhibit positive features in all 38 areas of consideration. Moreover, it provides a unique combination of effectiveness along with positive functionalities that make it ace the charts when it comes to measuring the effectiveness of a dehumidifier. 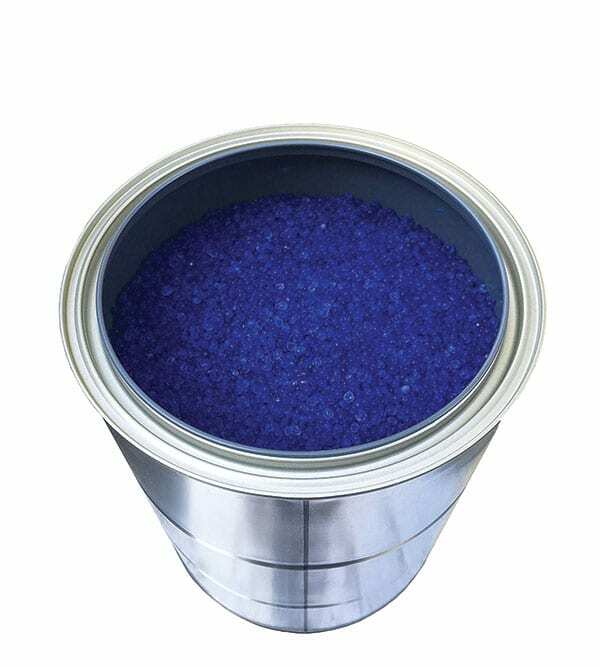 EcoSeb DD122EA is capable of removing the moisture at a capacity of 15 pints per 24 hours. It provides several features like economy turbo and auto restart functions which make it the ideal choice for rectifying severely damp or highly humid conditions. The product also features a rotary control allowing you to vary the level of humidity in between 35% and 85% RH. EcoSeb DD122EA is exceptionally effective when it comes to drying up the laundry indoors. The high-end features make it a good choice for using in low temperature conditions like basements, boats, RVs, etc. The product proves helpful in controlling rusting and warping by avoiding humidity fluctuations. Thus, it helps in preserving furniture, paintings, and doors by sustaining humidity at the optimum levels. All the above-mentioned features are compelling enough to list this product as our number 1 pick. Unlike the traditional compressor-based models, this unit is capable of providing low temperature operations. We were surprised to find out that it was powerful enough to operate at a temperature as low as 34 degrees Fahrenheit. It is almost impossible for a compressor based model to operate at such a low temperature. The DD122 EA comes with auto shutoff and auto restart functionalities. In case your power cuts off, it would restart automatically without any manual support. Similarly, you can also program your desiccant dehumidifier to shut off automatically after a certain amount of time to save power. These features make it ideal for drying up RVs or boats before use. When our team members were testing EcoSeb DD122EA, the power ran out. Since the auto restart feature was in function, the dehumidifier turned back on as soon as the power came back. The auto defrost function makes sure that the moisture extracted by the unit does not get frozen due to lower temperatures. The DD122 EA also features an optional continuous drainage pipe. This pipe may be used for draining the condensate directly to a sink while freeing yourself from the requirement of emptying the water tank on a regular basis. To attach the pipe, we passed it through the back after removing the dehumidifier’s knockout and found it to be easy. It features a humidistat that allows you to custom set the humidity levels in your room as per your own requirements. It enables you to choose an optimal humidity level lying somewhere in between 35% and 85% RH. We tried this function to dry up our laundry and it worked fine. We find portability to be one of the most important factors that need to be considered while buying a dehumidifier. The DD122 EA is a lightweight dehumidifier that comes with a carry handle. It is convenient to move the unit around since it weighs only 13.2 lbs. Unlike compressor-based models, the DD122 EA is a quiet dehumidifier that operates at 34 dB only. We were fascinated to find out that the noise produced by this unit was lower than that of a regular conversation. This unit deserves to be at the top of the list simply because it’s one of those faultless products that you can rarely find. With low noise and temperature and effective functions, this budget-friendly desiccant dehumidifier stays true to its promise of being an exceptional product. You’ll get to experience a hassle-free lifestyle with this dehumidifier. Ionizes the air while restoring balance of negative ions for a more efficient desiccant dehumidifying function. Why is it our 2nd choice? Our research report suggests this is one of the best desiccant dehumidifiers for home and it also exhibits a number of positive features provided by our number one pick. This desiccant dehumidifier provides a moisture removal capacity of 15 pints per 24 hours just like our top pick. Moreover, it features similar functionalities including over dry protection, auto sensor, auto-toggle power saver, removable filter, electronic controllers, auto restart function, etc. The reason behind choosing this product as our 2nd best choice is the fact that it is a bit expensive in comparison to our top pick. This is one of the best desiccant dehumidifiers that features an electronic controller which helps you operate the device conveniently. It has several controls to help you run the dehumidifier at the required settings. We operated the product at different settings and it worked as per our expectations. The air around us comprises of both negative and positive ions. The positive ions have a tendency to stick to water droplets in the air and breathing in such an environment becomes difficult. The DD122 EA ionizes the air while restoring the balance of negative ions. The DD122 EA provides exceptional performance at low temperatures. It is capable of working perfectly at a temperature as low as 34 degrees F. We tested the product in different temperature ranges and it worked properly. The product features both auto shutoff as well as auto restart features to help you program its functionality beforehand. These features come in handy especially when you are planning on using the device in a closed environment like a boat or an RV. The auto defrost feature makes sure that the moist air passing through the vents never gets frozen. We ran this dehumidifier in extremely cold circumstances and it worked fine which endorses the legitimacy of the auto defrost feature. The product also features a drain hose along with a drain pipe to help you drain the condensate continuously. The knockout located at the back side of the dehumidifier may easily be removed to connect the drain pipe. The humidistat offered by the product enables you to set the moisture density in your room at a certain optimum level. You can use it to maintain the moisture level between 35% and 85% as per your convenience. We fluctuated the humidistat at different levels to check its functionality and it worked efficiently. If you are interested in moving your dehumidifier around different parts of the house, this device is perfect for you. We found the carry handle to be useful since it allowed us to move the unit effortlessly. We particularly liked the low noise operational capabilities of the unit, since it operates at a low noise level of 34 dB only. Amazing features such as auto defrost, auto shutoff/restart, electronic controllers, etc. The DD122EA-Classic impresses with its ionization feature and lowest temperature operation. It comes close to the DD122EA-Simple, but we ranked it second only because of its price. It’s slightly more expensive than the DD122-Simple even though it offers the same functions. 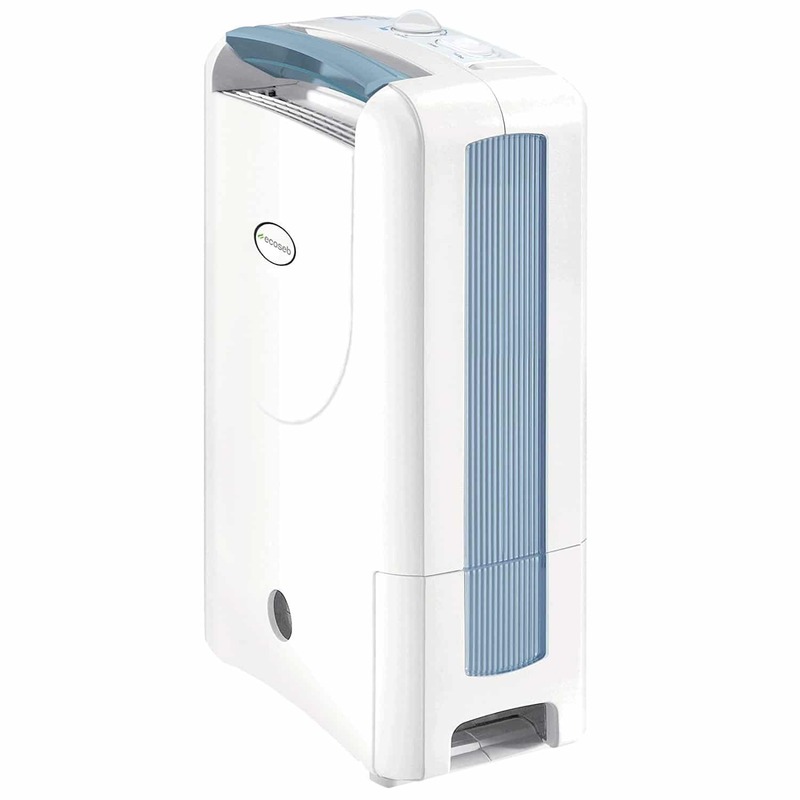 But if price isn’t a concern, this desiccant dehumidifier is a great investment. This product boasts of the ability to operate at even the lowest temperatures to restore the air to optimum moisture levels. Why is it our 3rd choice? 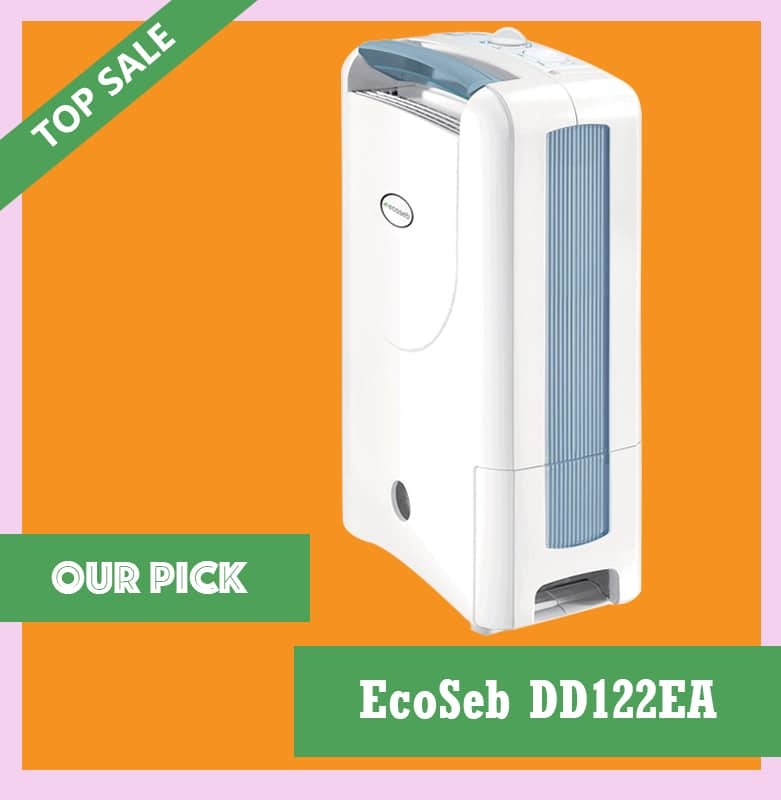 Just like the top 2 picks, the Eco Seb DD322 EA simple desiccant dehumidifier provides a number of remarkable features which make it a great choice for your next purchase. As a matter of fact, it demonstrates almost all the features provided by the top 2 products. It also offers automated condensate shutdown feature and tilt-over protection. Moreover, the product offers a larger moisture removal capability and is able to extract as many as up to 21 moisture pints. The best part about the eco seb DD322 EA is its ability to operate at cold temperatures where compressor-based models usually end up failing to deliver. The only reason this product took the third place on the list is that it is much expensive in comparison to the first 2 picks. You can refer to our report to get a better understanding. The Eco Seb DD322 EA is one of the best desiccant dehumidifiers currently available. If you can afford to pay some extra bucks, this is the right product for your home dehumidification requirements. When the temperatures are lower than usual, the moisture present in our surroundings starts condensing. Walls, bathroom mirrors and windows start becoming moist. The Eco Seb DD322 EA has the capability to operate at even the lowest temperatures and helps bring your air to the optimum moisture levels. We ran the product in different low temperature ranges and it operated with efficiency. The DD322 EA also features a removable continuous drainage facility. We tested the product in an extremely moist environment where continuous dehumidification was needed and the continuous drainage pipe facility seemed to be a big plus under the circumstance. We directed this pipe to a sink where the condensate drained continuously. When it comes to the best desiccant dehumidifiers, portability is an important consideration. 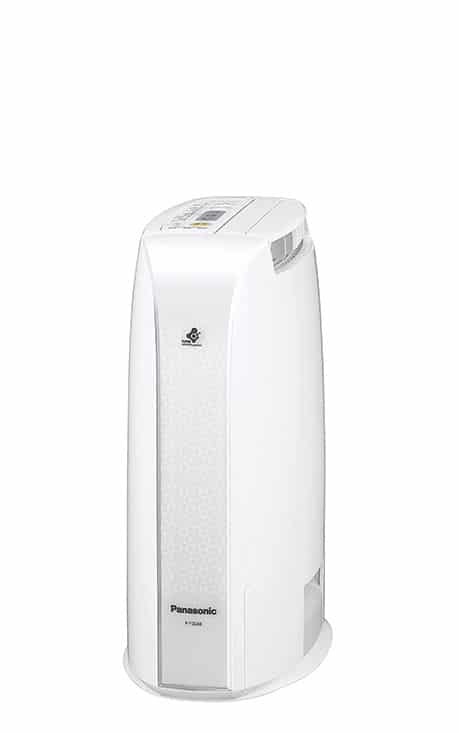 The DD322 EA comes with an easy carry handle that provides you the freedom to move your dehumidifier conveniently. The eco seb DD322 EA comes with a condensate tank capable of storing 7.4 pints of moisture at once. It is located at the frontal bottom side of the unit and appears just like a drawer. It is easy to remove and is designed in a way that the user does not have to move the unit at all while emptying the water tank. We specifically liked that the dehumidifier also features a lid so that the condensate might not get spilled in any way. Unlike the traditional compressor-based models, this compressor-less dehumidifier is capable of operating at even the lowest temperatures. It not only dehumidifies the air but also warms it up to deliver a comfortable breathing environment. We tested the unit in low temperatures and it delivered the promised results without any issues. The humidistat featured by the product allows you to run the desiccant dehumidifier at optimum levels to help you decrease your power bills. The mechanism deployed in the dehumidifier uses high-quality components that do not cause any resistance to the power flow, ensuring an energy efficient operation. The DD322-Simple stands out with its humidistat feature, making it easy for you to customize the humidity levels in your room. It offers the usual features such as auto defrost and auto shutdown, but one key feature is its continuous drainage facility. However, this unit is much more expensive than our top two picks, which is why it’s only on third place. This product boasts of a wide array of features to deliver high-end dehumidification capabilities ideal for extremely humid conditions. Just like the predecessor models listed above, the EcoSeb dd322EA classic desiccant dehumidifier 21 pints is capable of bringing the moisture to optimum levels even while operating at the lowest possible temperatures. If your house remains cold all the time, this product can help in warming it up while dehumidifying it at the same time. We ran the DD322EA classic in cold temperatures and it worked great. The electronic controllers included in the product allow you to use the desiccant dehumidifier at three different settings: High, Economy and Auto. Auto and economy settings may be used in ordinary conditions while the High setting comes in handy for rapid dehumidification. We tested all these modes and each one of them delivered promising results. The turbo setting offered by the product comes in useful especially when you are willing to dry up your laundry indoors. We specifically liked the fact that there were two laundry modes perfect for dying up the laundry. The normal laundry mode runs the dehumidifier continuously with low power consumption. The turbo mode, on the other hand, runs the unit at full capacity and dries up the laundry at an exceptionally fast rate. The E7 energy saving feature comprises of specialized algorithms that are designed for performance optimization to save energy. This feature collaborates with temperature and humidity levels to help you cut your power bills. When we tested the product, we found out that by sensing the humidity and temperature levels in your room, this feature toggles between standby, economy power and full power modes to optimize the power consumption. In our opinion, mobility and portability are two of the most important considerations while buying a new dehumidifier. Using the built-in carry handle, you can easily move the DD322EA classic around different parts of your home. It is light in weight which adds up to its mobility feature. Moreover, the large condensate tank installed in the dehumidifier is convenient to empty. Much like the DD322EA-Simple dehumidifier, the DD322EA-Classic offers high-end features such as auto louvre settings, turbo modes, and temperature sensors. Most notably, it has an E7 energy saving feature that can help you cut your power bills. This unit is on the pricier side, but because it saves energy in the long run, it’s well worth the expense. The Eva-Dry is every germaphobe’s friend, providing protection against bacteria and killing mildew and molds to keep the air around you clean and safe. Why is it best for bacteria prevention? As suggested by our research report, this desiccant dehumidifier provides a special feature of bacteria prevention. It comes with a filter that incorporates a specialized silver coating that proves lethal for bacteria. Moreover, the ionizer present in the dehumidifier helps maintain the balance between the positive and negative ions. Therefore, this product brings about a lot of improvement in the overall air circulating through your office or home. Unlike the typical products with compressors, this desiccant dehumidifier makes use of rotor technology for removal of moisture from your surroundings. The product is light in weight and extremely quiet in operation. If you support environmental preservation, this product is the ideal choice since it doesn’t contain any hazardous compressor gases. The Eva-Dry EDV-4000 portable refrigerant dehumidifier is another high-end product that is designed to make your lives better. The Eva-Dry EDV-4000 features a special silver coating inside the condensate that neutralizes bacteria immediately upon contact. The Microban® featured in the dehumidifier’s condensate pan provides additional protection against micro bacteria and discourages the growth of mildew and mold. So if you have some sort of allergy or other breathing issues, this one is the perfect fit for you. We consulted some users of this unit with different kinds of allergies and they seemed to be satisfied with the working of this unit. This product has no comparison when it comes to performance and low temperature operations. It dehumidifies your air within a temperature range of 33 degrees F to 125 degrees F. If used properly, the dehumidifier is capable of drying up walls, building contents, carpet pads, carpets, and floors. When we tested the product, we found out that it is nothing short of the claims made by the manufacturers when it comes to low temperature operations. The Eva-Dry EDV-4000 Dehumidifier features optimized drainage facility to help you drain your product’s condensate conveniently and easily. We liked the fact that we didn’t have to keep on emptying the condensate tank over and over again. The Eva-Dry EDV-4000 features a remarkably elegant build quality that is hard to find in other products. The internal parts installed in the product are heavy duty and designed to sustain. The exterior, on the other hand, is beautifully sophisticated. It is designed using the rotomolded polyethylene that offers reliable wall thickness along with powerful outside corners that make the product prone to leaks and damages. The Eva-Dry EDV-4000 dehumidifier comes with highly advanced defrost modes to make sure that the frost is melted away actively. This feature makes it an excellent choice for operating at low temperatures. It’s a major plus when dehumidifiers look classy and elegant, and that’s exactly what this unit is. Its greatest feature, though, is its protection against bacteria. This dehumidifier is essential for homes where allergies are a problem – with this dehumidifier, you’ll solve issues caused by mildew and mold. We ranked it 5th because, although it’s an excellent protection against bacteria, it ‘s a bit expensive and lacks efficiency with other features. The FociPow effectively dehumidifies small, enclosed spaces like closets and cabinets and utilizes a renewable silica gel technology that makes it energy-efficient, too. Why is it best for smaller enclosed spaces? The FociPow Rechargeable Cordless Dehumidifier is the ideal choice for dehumidifying different enclosed spaces, like basements, bedrooms, bathrooms, storage boxes, camera boxes, bookshelves, kitchen cabinets, closets, clothing organizers, wardrobes, and drawers. It is a mini wireless rechargeable silica gel dehumidifier that operates without producing any noise. The product makes use of a new sort of reusable silica gel based technology that is capable of working free of any power or batteries. This amazing renewable dehumidifying system is perfect for silent moisture absorption within a 100 cubic foot area. The FociPow Wireless Mini Dehumidifier is a remarkable introduction in the world of dehumidifiers. It is an amazing product that does not require any power sources to run. It is based upon reusable silica gel for operations. Unlike the traditional dehumidifiers, we found this one to be ideal for placing in small spaces like cabinets and drawers. It fights effectively humidity and dampness. 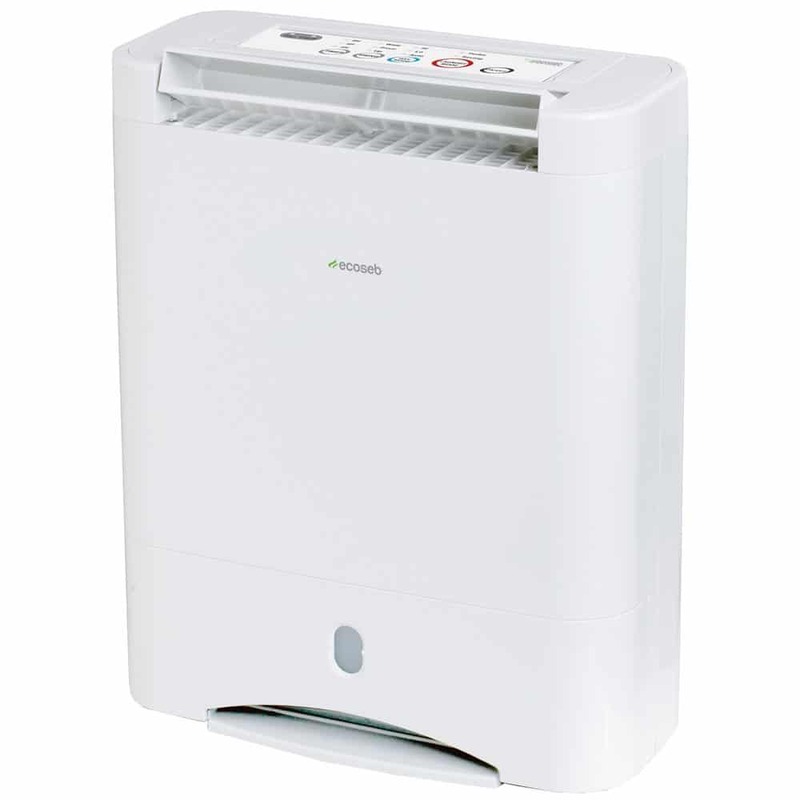 Using the FociPow Wireless mini dehumidifier, you can easily dehumidify an area of 100 cubic feet. When we tested this unit, we found it to be practical and useful for dehumidifying small spaces. We placed this wireless dehumidifier in different small spaces and operated it under different circumstances. The results delivered exceeded our expectations. We found the working mechanism of the dehumidifier to be pretty unique. When the silica gel got full of moisture, it became green. We had to recharge it for about 12 to 15 hours. When fully charged, the silica gel changed its color back to orange and got ready for sucking the same amount of moisture all over again. Unlike the traditional dehumidifiers available in the market, this product makes use of a reusable silica gel based technology. We particularly liked this feature since this dehumidifier does not need an electricity source to power it up. In addition to this, the silica gel used in the dehumidifier has a long life and is capable of providing dehumidification facilities for long time spans. The silica gel provides clear signage of the fact that it requires recharging. To prevent any spoilage, the color of the silica gel starts changing. When it turns to green color, that’s your cue for removing the existing package and to get it recharged before it spoils. Our team of testers found this feature to be particularly interesting. This unit is non-electric, which makes it easy to move around and place in small spaces. It’s handy if you want to dehumidify areas like closets and cabinets, and the silica gel based technology ensures usage of long time spans. But, for large areas like rooms, this dehumidifier wouldn’t be much help. We wouldn’t recommend it if you need dehumidifying on a larger scale. 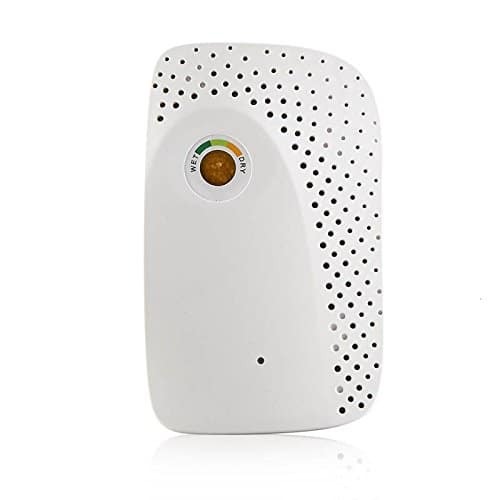 This small and handy silica gel dehumidifier boasts of a lifetime functionality, recharge indicator, and ability to dehumidify small, compact spaces. Why is it best for cameras? The Hydrosorbent OSG-40 Silica Gel Dehumidifier is the perfect choice for dehumidifying a small enclosed space of about 3 cubic feet. This feature makes it an ideal choice for protecting your camera box from moisture. In addition to cameras, the product may also be used for protecting general small spaces like tool boxes, telescope cases, etc. If you are looking for a small dehumidifier to protect your camera box, the Hydrosorbent OSG-40 Silica Gel Dehumidifier is the right choice. The Hydrosorbent OSG-40 Silica Gel Dehumidifier is capable of dehumidifying a small space of almost 3 cubic feet. This makes it a good choice for dehumidifying camera boxes or telescope cases. We tested this product in a number of small spaces and it worked surprisingly well. Considering the small coverage area capacity of the unit, the Hydrosorbent OSG-40 is an effective dehumidifier. This dehumidifier comes with a built-in recharge indicator that is orange in color. When a reactivation is needed, it turns itself clear and tells you to change the package soon. We were surprised to find out that unlike other silica gel based dehumidifiers, the silica gel used in this one lasts for your whole lifetime. All you need to do is to get it reactivated in the oven and enjoy a lifetime of dehumidification. When we tested the whole reactivation process, we found it to be simple and easy. The silica gel used in the product does not contain any cobalt. That’s the reason why it is not prone to any sort of spoilage or other damages. Upon moisture absorption, the silica gel beads turn orange. You need to reactivate them in the oven till they become clear. 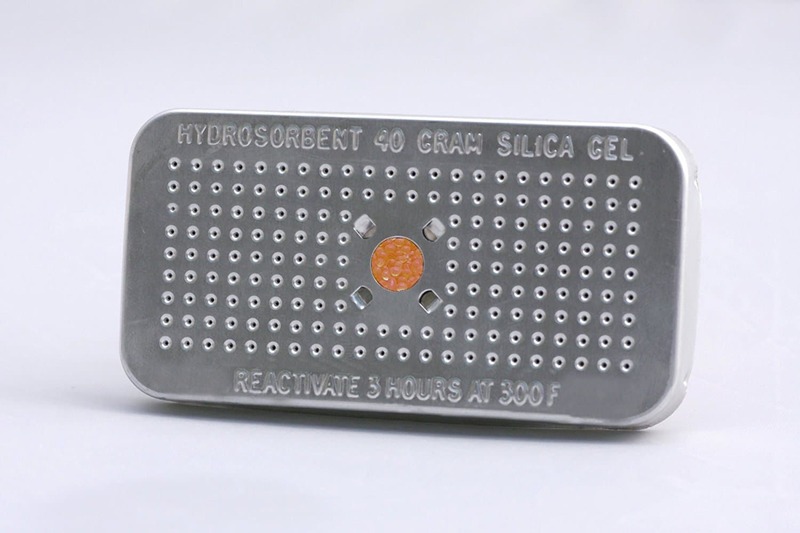 Of all the silica gel based models we tested while compiling this guide, the Hydrosorbent OSG 40 never failed to amaze us in any section of its functionalities. The Hydrosorbent OS 40 is ideal for small spaces, ideally of 3 cubic feet. Obviously, it isn’t the smartest choice for large spaces, but this dehumidifier works best for camera box protection. It takes away moisture effectively with a silica gel that lasts your whole lifetime. If you only need a dehumidifier for a very tiny space, this can work well for you. This products boasts of a high-quality silica gel that extracts corrosion, mildew, molds, and moisture in small spaces. Why is it best for valuables? This outstanding product comes with extraordinary dehumidifying abilities. the high-quality silica gel used in this dehumidifier is perfect for extracting corrosion, mold, mildew, and moisture. If you are constantly worried about the ever-increasing moisture in small spaces, this one is the right pick for you. It is perfect for use in closet storages, basements, watch cases, electronics, damaged cell phones, books, documents, camera lenses, clothes, jewelry, safes, ammo cans, gun cases, etc. The silica turns from blue to pink when it needs to be reactivated. This highly effective reusable silica gel dehumidifier is the perfect solution for dehumidification of small spaces where typical dehumidifiers can’t be used. A detailed review covering different aspects of this product is given below. This product is capable to dehumidify a closed space of about 470 cubic inches. It is found most effective in dehumidifying ammo cans, firearms, jewelry, books, clothing, electronics, and cameras. We practically checked this product under different humid conditions and it worked well in most of the cases. Just like the other silica gel based dehumidifiers we tested, this one also features a recharge indication. 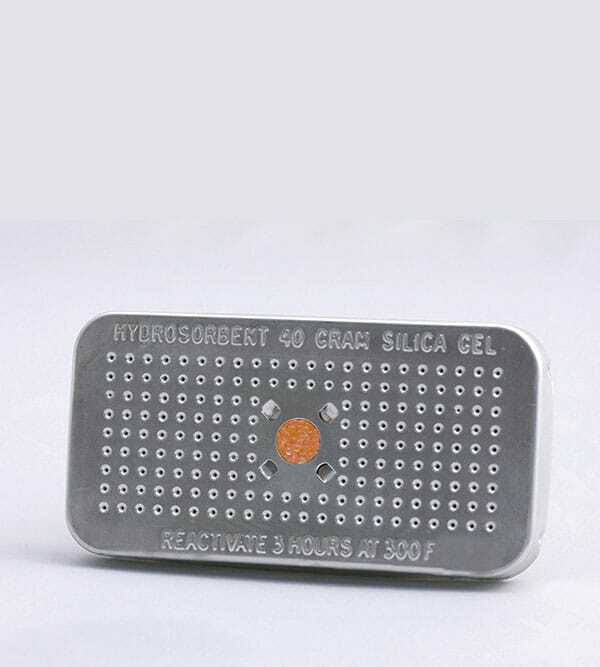 When the silica gel is full of moisture, it turns itself from orange to green, informing you to get it recharged for uninterrupted operations. We found the recharge indication to be clear and accurate. We tried choosing the best silica gel based dehumidifiers in our review to help you find a reliable and long lasting product for your long term needs. This product is nothing short of it. It makes use of renewable silica gel based technology. Unlike typical dehumidifiers, this one is capable of lasting for several years. In the process of creating this review, we came across a number of silica gel based products. Some of them were prone to spoilage while some weren’t. And this unit belongs to the latter category. The remarkable part about this unit is that it does not contain any cobalt chloride. This makes it a spoil-free unit with the capacity to stay legit forever. So there is nothing to worry about. For even smaller spaces, this silica gel based dehumidifier works perfectly. Its silica gel turns from blue to pink, indicating that it needs to be reactivated, which makes it easy to maintain. Because it relies only on silica gel, this unit is very affordable, yet it has the capacity to last a lifetime. However, it works only for really tiny spaces, which limits its capacity. Contains humidity indication beads and can be renewed and reused for a lifetime. It’s the perfect choice for your sporting goods. Why is it best for protecting sporting goods? The 75-gram silica gel canister dehumidifier is the ideal choice for protection of sports-related equipment. Moreover, this product comes in useful for other types of limited storage spaces, such as craft supplies, coin collections, storage binds, trailers, RVs, camping gear, backpacks, tackle boxes, drawers, cabinets, tool boxes, shoes, camera bags, electronics, ammo storage, and gun cases. The best part about this product is the fact that it provides a lifetime of dehumidification. The 75-gram silica gel canister dehumidifier is a fine dehumidifier that makes use of silica gel based technology for dehumidification of small enclosed spaces. In the variety of small space dehumidifiers that we tested while creating this guide, we found this particular model to be the best choice for protecting closed compartments. This dehumidifier is capable of dehumidifying a covered area of almost 57 cubic foot, which makes it a perfect choice for small spaces. We recommend you to use this unit with gun safes, sporting goods, and ammo storages. When we were testing this product, we found it to be a bit different in comparison to other silica gel based models. Unlike the rest of the products, this one contains humidity indication beads which are located at the bottom side of the casing. When the beads are full of moisture, their color transforms from orange to green. We put this dehumidifier in a moist environment long enough for the indication beads to change their color and they seemed to do it quite well. The silica gel used in the 75-gram silica gel canister dehumidifier is completely renewable. All you need to do is to put it into an oven for about 3 hours and it may be used countless times. When we tested the silica gel for renewability, we found it to be delivering the same level of efficiency that it delivered in its original form before getting discharged. The product does not contain any cobalt chloride, so there are no chances for any spoilage. This feature makes it a good choice for preserving valuable cases like jewelry boxes, storage for ammunition, sporting items, and books. 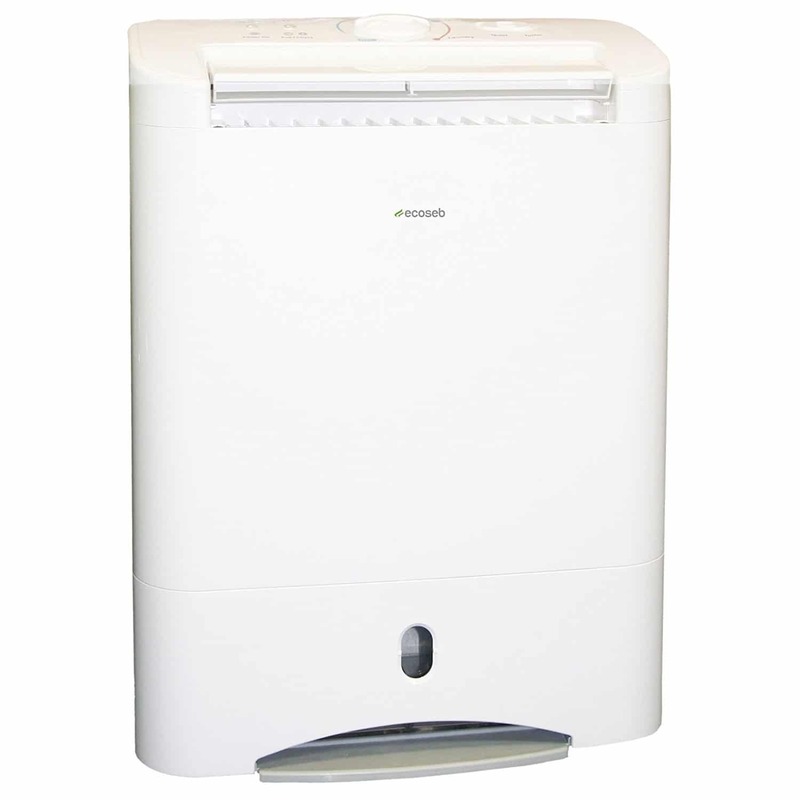 You may also use this dehumidifier for getting protection from moisture is small bathrooms and kitchens. 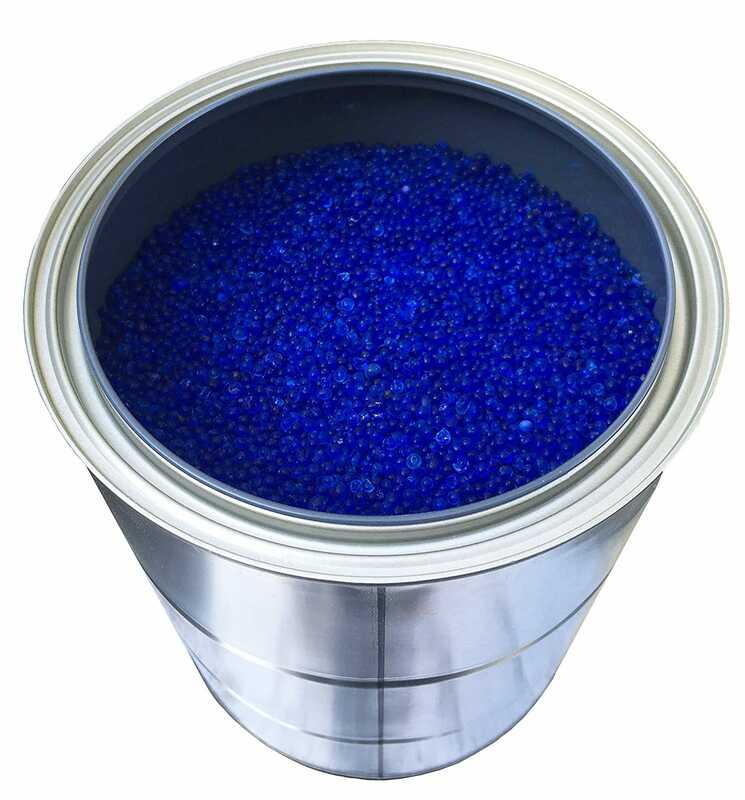 Much like the Industry Standard Blue Beaded Desiccant, this 75-gram silica gel canister dehumidifier relies on a lifetime silica gel based technology to protect small compartments. What differentiates it is its container, as well as the color indicators (orange to green). It’s an excellent choice for protecting sporting equipment. This product lets you dry your clothes indoors efficiently, and easily go back to normal mode to restore your room’s humidity at optimum levels. Why is it best for drying clothes? The Panasonic Global Eco Navi Desiccant system is an ideal product for drying your laundry indoors. The product comes with a distinctive keep and crisp mode which allows you to sustain your air at optimal moisture levels after you have dried up your laundry. The eco mode provided by the product offers energy saving operations and allows you to dry up your laundry conveniently. The Panasonic Global Eco Navi Desiccant System is a fine choice if you are looking for a dehumidifier that lets you dry up your laundry indoors. In addition to this, the product also offers excellent performance when it comes to maintaining the humidity at optimum levels. The performance of the Panasonic Global Eco Navi depends upon the material used in the structure of the room. When we tested the product in different rooms, we found its performance to be lower for wooden structures while it worked better in cemented rooms. On average, the product is capable of dehumidifying a covered area arranging between 12 and 23 square meters. The level of efficiency delivered by this dehumidifier is higher than most of the products we reviewed above. This makes it a good choice for drying up your laundry indoors. When we checked the product for functionalities, we particularly liked the crisp and keep modes offered by the product. They allow you to sustain your room’s humidity at the most optimum levels according to the requirements. This feature also provides for efficient laundry drying. We tried drying up some damp clothes and the product worked effectively. After that, we turned the mode back to normal and the dehumidifier restored the humidity content back to the optimum levels. The Eco mode offered by the Panasonic Global Eco Navi allows you to operate while conserving electricity. If you are tired of your existing dehumidifier causing a strong impact on your power bill, switching to this product would definitely help. This unit is capable of operating while generating negligible noise levels. If you like your unit quiet, this one is the right fit. We tried moving it around and succeeded without going through any trouble. This dehumidifier is highly portable and may be moved around the entire house conveniently. This unit is designed specifically for drying clothes indoors. When not drying clothes, users can still use it as a normal dehumidifier. It restores room humidity to the optimal level with its versatile features. But, if you use it to try your laundry, it will consume a lot of power and give you a higher electricity bill. You might as well invest in a pricier one that won’t consume as much energy because the accumulated savings in the long run will be worth it. Commercial desiccant dehumidifiers usually have large capacities but when it comes to desiccant dehumidifiers for homes, they provide a limited capacity. Majority of the products reviewed in this guide are capable of removing only 20 moisture pints per 24 hours. 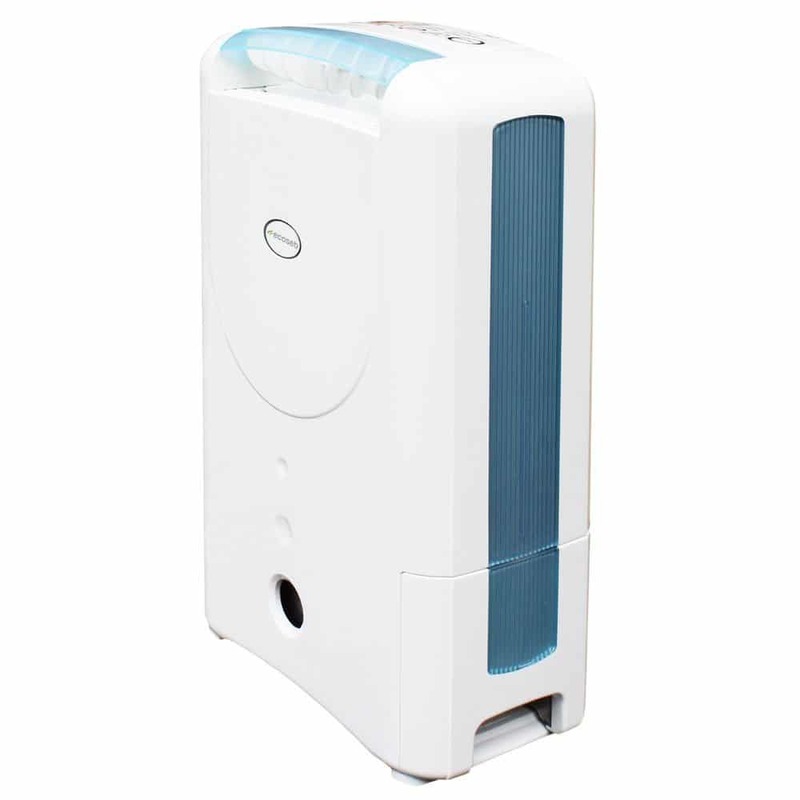 Desiccant dehumidifiers tend to release a certain kind of pungent smell after operating for some time. This is due to the fact that during operation, these products absorb different odors present in your environment. These odors may originate from new furniture, building materials, cosmetics, cigarettes, etc. Unlike the traditional compressor-based models, desiccant dehumidifiers usually have a limited lifespan. They are more delicate and tend to get damaged easily. To get the most out of your desiccant dehumidifier, it is critically important to take the right precautionary measures while operating them. You also need to carry out the necessary maintenance regularly to make sure your dehumidifier delivers perfect functionality for a long time. The first and foremost thing before using a desiccant dehumidifier is to go through its user manual properly. You need to make sure you are completely familiar with the entire operations of the product put forward by the manufacturers before you try running it. Otherwise, you might end up damaging it beyond repair. After consulting the user manual, it is time to set up your dehumidifier. You need to be thorough while following the assembly steps listed in the manual to ensure the product is set up properly. Cleaning the water tank on a regular basis is extremely important to make sure your desiccant dehumidifier lives a long life. Leaving the condensate bucket unattended for long periods may cause it to develop different types of mold and mildew eventually. While setting up your dehumidifier, it is important to make sure that there aren’t any flammable liquids or gases near the product. Otherwise, you might fall victim to some sort of destructive domestic accident. Desiccant dehumidifiers usually take up a considerable amount of electricity. Therefore, the condition of power cords matters a lot. It is strongly recommended to keep inspecting them on a regular basis and get them replaced as per the requirements. To sum it all up, it may be said that both compressor-based and desiccant dehumidifiers are associated with their own pros and cons. It is strongly recommended to go for a desiccant dehumidifier if you are expecting better performance with low energy requirements. In our 4 years of operation, we have tested more than 20 different dehumidifiers and talked to hundreds of users to come up with this extensive guide on the best desiccant dehumidifiers out there. Therefore, you can sit back and easily rely on it while making your next dehumidifier purchase to enjoy all the desired benefits! It is strongly recommended to check out our research report as well. It would prove to be really helpful in giving you an idea on which appliance to go for.